ST. GEORGE — With decisive wins on Tuesday and Wednesday, the Snow Canyon Little League all-star softball team continued its strong showing at the Junior League Softball World Series. Representing the West region at the weeklong tournament being held in Kirkland, Washington, the Snow Canyon girls finished pool play Wednesday with a perfect 4-0 record in Pool A, earning a No. 1 seed in the single-elimination championship bracket, which starts Thursday. West’s next scheduled game will be Thursday at 2 p.m. PST against the No. 4 seed from Pool B, most likely the host team from Redmond, Washington, pending the final outcome of their game vs. Southeast Wednesday afternoon. Click here for full schedule and results. Tuesday morning, West amassed 18 runs on 18 hits as it defeated the Europe-Africa champions, Emilia Romagna Little League of Bologna, Italy, by a score of 18-4. Although the Snow Canyon girls didn’t score in the top of the first inning, they managed to bat through the lineup and build a 7-0 lead in the second. Sydney McCaul got the team’s first RBI with a triple that scored Kambrie Stuart, who’d reached on a single. The ensuing rally included five more hits by West, including a double by Jael Wilde and another single by Stuart. West scored four more runs in the fourth inning to take a 11-0 lead, but Italy managed to score its first run in the bottom of the fourth to make it 11-1. West then scored twice more in the fifth, but Italy avoided the 10-run mercy rule that inning by answering with a three-run rally that made it 13-4. All three of the runs were unearned after a couple of uncharacteristic errors by Snow Canyon. In the top of the sixth, however, Snow Canyon added another five runs to account for the final score, holding Italy scoreless in the bottom of the inning to secure the win. McCaul and Wilde had three hits apiece to pace West, while Tyler Mooring drove in three RBIs on two hits. Mooring, who pitched the first four innings and picked up the victory, allowed four runs on three hits while striking out three. Wednesday morning, Snow Canyon continued its offensive barrage with a 10-0 shutout win over the Southwest U.S. champions from Smithville, Texas. The Utah team jumped out to an early 2-0 lead in the top of the first inning, thanks in part to a couple errors by Texas. In the bottom of the first, Texas got a pair of singles, but a well-executed infield double play ended the inning, with shortstop Jael Wilde throwing to second baseman Ginny Deming, who relayed it to Tyler Mooring at first base for the third and final out. Snow Canyon then scored six runs in the top of the second to make it 8-0. The rally included five base hits and a couple more fielding errors. 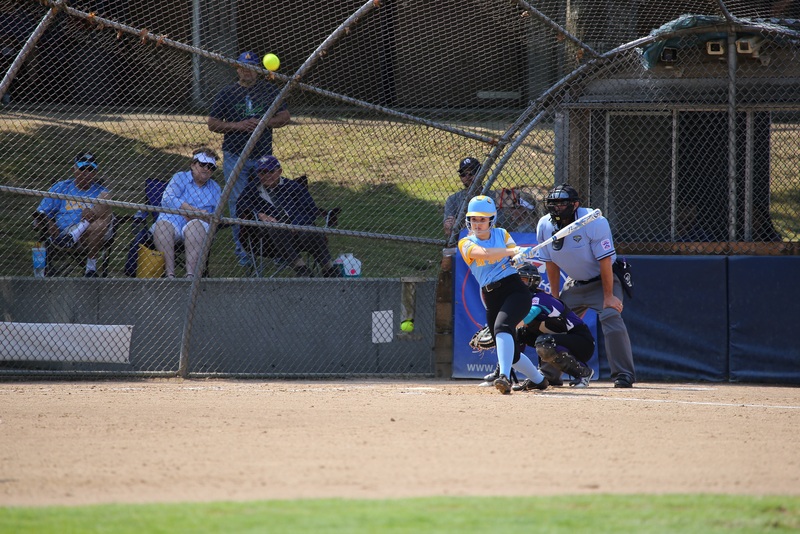 Sydney McCaul belted a two-run double. Wilde, who finished 3-for-3 at the plate, singled to lead off the third and eventually scored on a fielder’s choice play for Snow Canyon’s only run that inning. 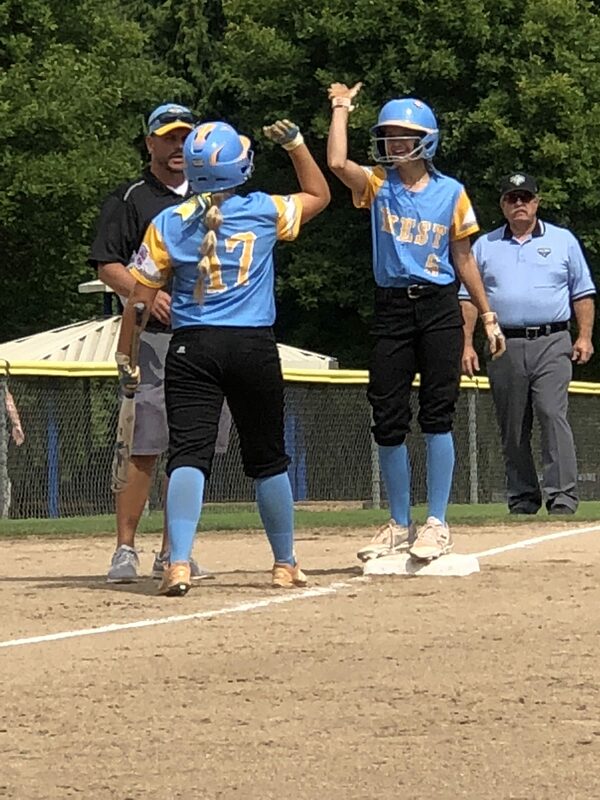 Stuart added a run in the fourth when she reached base on an error and eventually came home on a wild pitch to give West a 10-0 lead. Wilde later doubled but Erin Gunn was thrown out at the plate to end the inning. Neither team scored in the fifth and final inning, as the 10-run mercy rule was invoked at that point. Starting pitcher Jenna Thorkelson went the distance for West, allowing no runs on three hits while striking out five. She allowed only four base runners the entire game. Snow Canyon also tallied nine base hits and committed zero errors in the field.